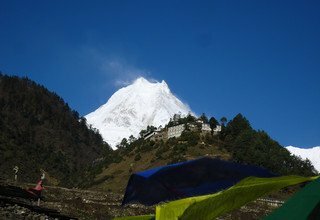 Larkya crête se situe dans la gamme du Manaslu de montagnes dans le district de Gorkha au Népal. 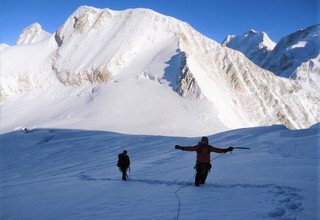 La région Manaslu a été ouvert en 1992, cette zone offre une combinaison de l'héritage de la culture riche, une beauté inégalée et la diversité biologique. 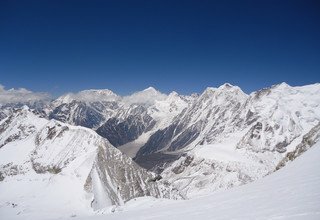 Manaslu trek et Larkya pic est mi nord du Tibet frontière du Népal, région du Manaslu vient d'être ouvert aux visiteurs, a finalement permis de vraiment entrer dans l'univers mythique de la vie tibétaine. Gorkha est un petit Etat indépendant de l'endroit où l'unification du Népal moderne a commencé est le point de départ du trek. 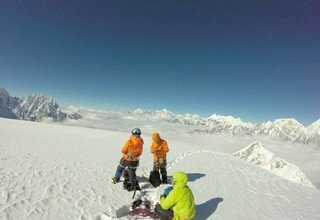 Ici vous trouverez un point magnifique pour une vue panoramique pour admirer les sommets élevés tels que le Langtang, le Ganesh Himal, Bouddha Himal, Himalchuli, Annapurna Himal et Siringi. De suite, le sentier continue vers le nord en passant par de nombreux villages de l'origine tibétaine. Ces villages offrent une occasion d'explorer leurs coutumes et leurs cultures, des monastères, la prière des drapeaux, des roues de prière et la prière des murs. 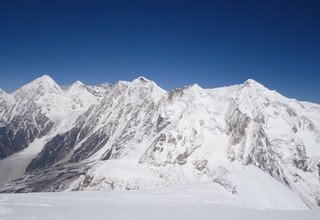 Mont Manaslu au 8163 mètres est le plus haut sommet 8ème dans le monde et est situé près de la frontière du Népal et du Tibet. 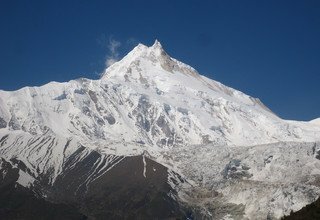 Le nom Manaslu signifie "l’'Esprit-Montagne" dans le dialecte local. 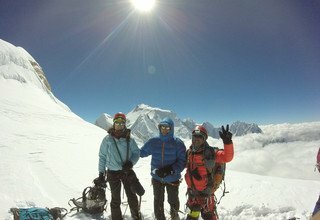 Trekking au sommet du Manaslu et Larkya escalade est l'une des aventures les plus délicieux. Jour 01: Arrivée à Katmandou et rencontrer le représentant SFT à l'aéroport et transfert à l'Hôtel. Cocktail de bienvenue et briefing. Jour 02: Journée dans la vallée de Katmandou, comme tant Stupa Boudhanath, Pashupatinath Temple, Kathmandu Durbar Square et Stupa Swoyambhunath avec notre guide en voiture privée, nuit à l'Hôtel. Jour 03: Katmandou à Arughat 6-7h Bazzar par autobus local, passer la nuit au camp de tentes. Jour 04: Trek de Arughat Bazar à 880m/6-7 Lapubesi, passer la nuit au camp de tentes. Jour 05: Trek de Lapubesi à 970m/5-6h Khorlabesi, passer la nuit au camp de tentes. Jour 06: Trek de Khorlabesi à 1070m/5-6h Dhoban, passer la nuit au camp de tentes. Jour 07: Trek de Dhovan à 1570m/6-7h Philim, passer la nuit au camp de tentes. Jour 08: Trek de Philim à 1860m/5-6h Deng, passer la nuit au camp de tentes. Jour 09: Trek de Deng à 2630m/5-6h Namrung, passer la nuit au camp de tentes. Jour 10: Trek de Namrung à 3520m/5-6h Samagaon, passer la nuit au camp de tentes. Jour 11: Journée d'acclimatation, nuit au camp de tentes. Jour 12: Trek de Samagaon à 3875m/4-5h Samdo, passer la nuit au camp de tentes. Jour 13: Trek de Samdo à 4460m/5-6h Dharmasala, passer la nuit au camp de tentes. 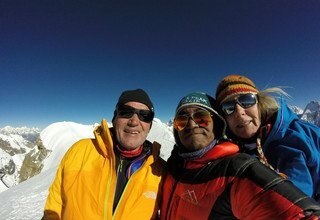 Jour 14: Trek de Dharmasala à Larkya-La 5160m/5-6h, passer la nuit au camp de tentes. 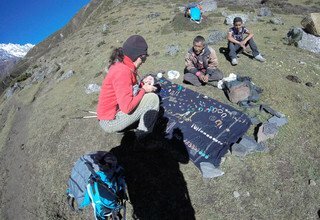 Jour 15: Trek de Larkya-La au 5600m/4-5h High Camp, passer la nuit au camp de tentes. 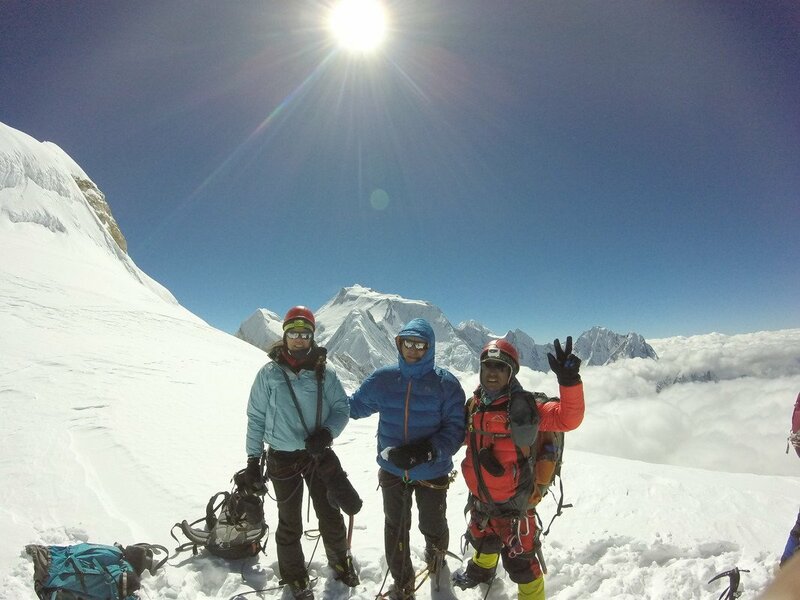 Jour 16: Sommet de Larkya crête 6249m et retour à 3590m/7-8h Bimthang, passer la nuit au camp de tentes. 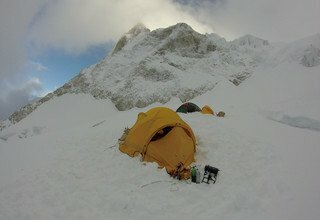 Jour 17: Jour de réserve pour l'escalade en raison de mauvaises conditions météorologiques, passer la nuit au camp de tentes. Jour 18: Trek de Bimthang à 2300m/5-6h Tilje, passer la nuit au camp de tentes. Jour 19: Trek de Tilje à 1700m/6-7h Tal, passer la nuit au camp de tentes. Jour 20: Trek de Tal à 1130m/5-6h Ghermuphant, passer la nuit au camp de tentes. Jour 21: Trek de Ghermuphant à 840m/5-6h Bhulbhule, passer la nuit au camp de tentes. Jour 22: Bhulbhule à Katmandou et transfert à l'Hôtel. Jour 23: Journée libre pour le shopping à Katmandou. Jour 24: Départ final à l'aéroport international. On your arrival at Tribhuvan International Airport, our airport representative will be waiting for you. He will transfer you to the hotel. Overnight at a 3-star hotel in Kathmandu. 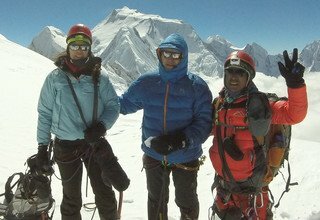 On this day, we will do full day sightseeing around Kathmandu valley in our private van along with an experienced tour guide. We will visit the Swayambhunath stupa and Boudhanath stupa. We can see great Tibetan influence with lots of art and culture tracing back to the culture. We will also visit Pashupatinath Temple which is a famous sacred Hindu temple. After a sightseeing tour of the city, we will return to our hotel. Overnight at a 3-star hotel in Kathmandu. We will travel to Arughat in a private jeep enjoying the scenic natural beauty. The drive to Arughat present glimpses of the settlements along the roads and gorgeous landscapes to compliment them. We follow the road along the Budhi Gandaki River to reach Arughat. Arughat is a small settlement area with a small pleasant market. Overnight at a hotel in Arughat. Today we will continue along the trail passing through tranquil Gurung and Magar villages. 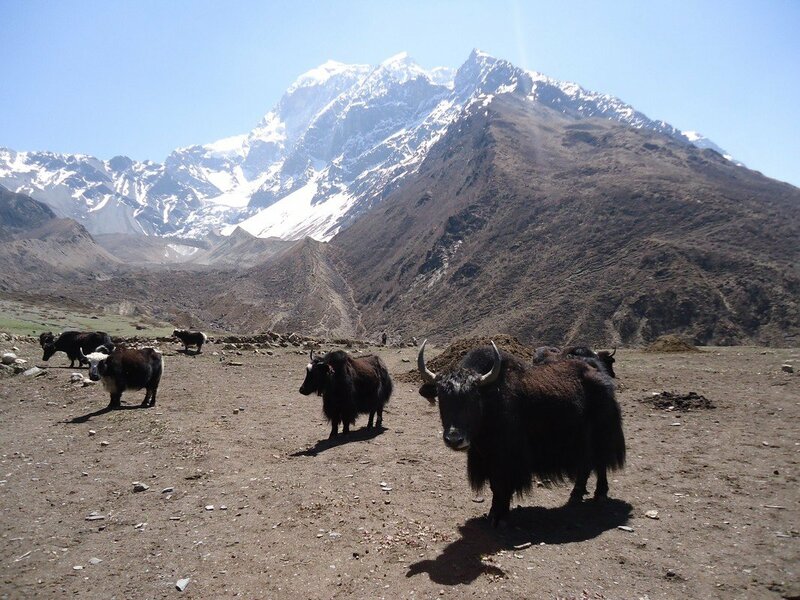 The trail follows the Budhi Gandaki River passing through the farmlands of millet, maize, and rice. 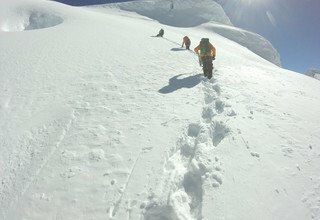 We will continue to climb along the staircases through the beautiful valleys narrowing down to the bank of Soti Khola. Our last part of the trail mostly passes through the dense pine and fir forests which open out to the Gurung settlement of Lapubesi. Overnight at a lodge at Lapubesi. Continuing along the gravel river bed, we will cross Machha Khola on our way. Our today’s trail mostly ascends and descends along the forested areas and crosses rivers sometimes. 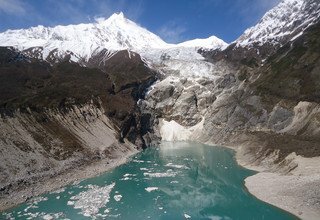 We will generally follow the same side of Budhi Gandaki River and cross few settlement areas with small lodges before reaching Khorlabesi. Overnight at a Lodge in Khorlabesi. Today we will climb to Tatopani which is also famous for being home to the relaxing hot springs. We refresh ourselves and continue along the cliffs. We cross a large suspension bridge over the Budhi Gandaki River and then climb through the narrow valley to Dobhan. Enjoying the easy up and downs along the river we will reach Jagat. Overnight at a lodge at Jagat. Heading towards rocky ridges to Salleri, we will view the beautiful Shringi Himal (7131m) and then descends to Sirdibas. The trail from here passes through the left bank of the river to the largest large suspension bridge on the east side taking us to Philim. 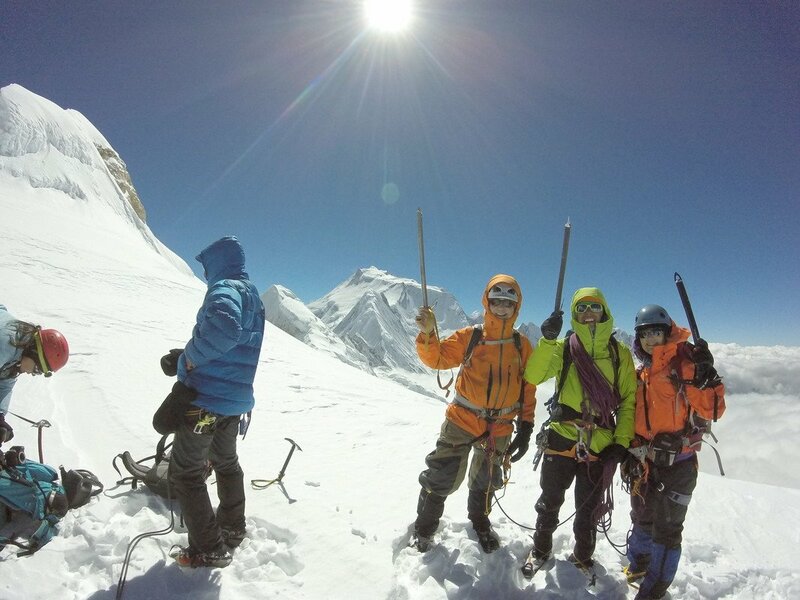 Continuing ahead, we reach Tsum valley and after crossing few suspension bridges, we will reach Nupri and then to Deng. Overnight at Deng. Today, we will follow the ascending trail to Rana and then to Bhi crossing many canyons. 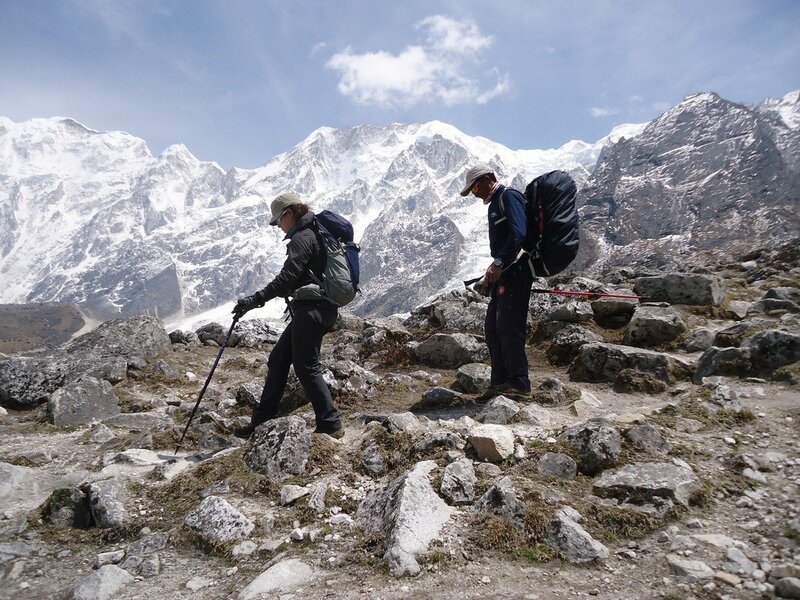 The trail crosses Sarang Khola and widens around the valley of Ghap. From Ghap, we will enter the forest area of rhododendron, birch, and pine. 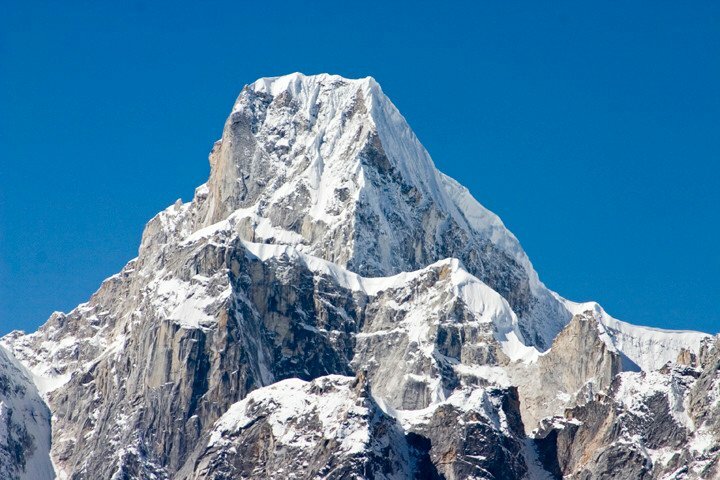 We will cross many Mani walls and prayer flags on our way. 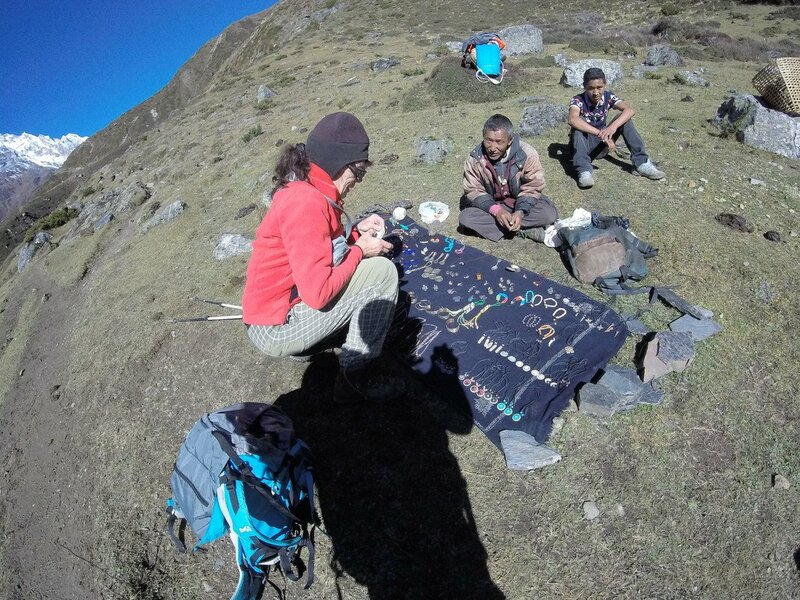 The trail is fascinating as we will enjoy the local tradition of Tibetans. Overnight at a lodge in Namrung. We will cross a few Mani walls, fields and houses before entering the dense forests of rhododendron. The trail follows the forested landscapes until climbing to Lihi and then to Sho. A leisurely walk along the stupas and monastery will take us to Samagaon. 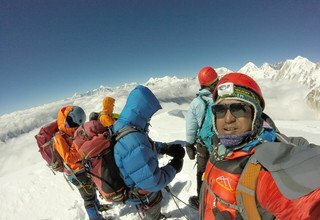 We will cross many large Mani walls and we will see many prayer flags hanging on the way, enjoying the views of Manaslu (8163m) and Manaslu North (7157m) we will reach Samagaon. Overnight at a tented camp. Day 10: Acclimatization day, Hiking up to Manaslu Base Camp 4400m, (6-7hrs) and back Stay overnight at Lodge. This day will be for acclimatization to the higher altitude. 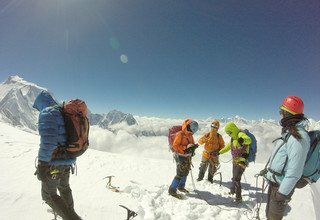 As we will have gained a massive altitude and our journey continues above 3000m, we will acclimatize ourselves with the climate. 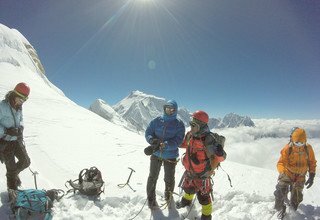 We will use this day to hike up the Manaslu Base Camp and enjoy the views of mountain vistas in the Manaslu region and then return to Samagaon. Stay overnight at a lodge. Today’s trail will be along the Birendra Tal under the Manaslu Glacier. The trail will be initially passing through the juniper forests and climbs up to the cliff leaving the tree-line below. 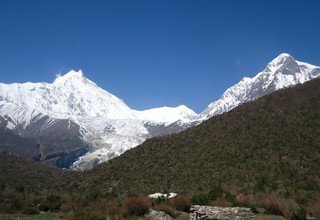 From there, we will ascend along the ridges and descend to Budhi Gandaki River. The trail will take us to Samdo after some time. Overnight at a lodge. 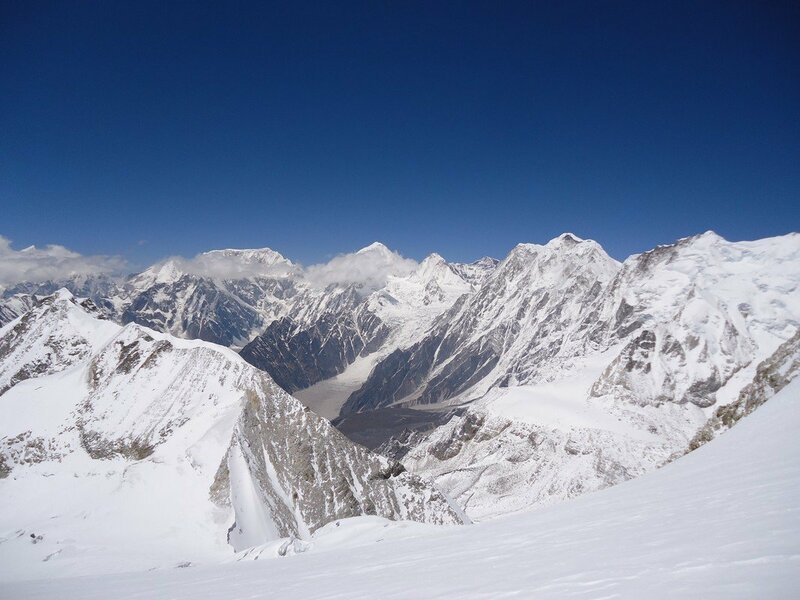 We will descend along the Budhi Gandaki River and pass another trail of Tibet. We will head left after reaching a large Mani wall and traverse along the dense forest area. The trail continues to climb along the dense forests area settlements along the river bank up to the Larke Phedi. The views of the mountain vista are incredible. Stay overnight in a lodge. 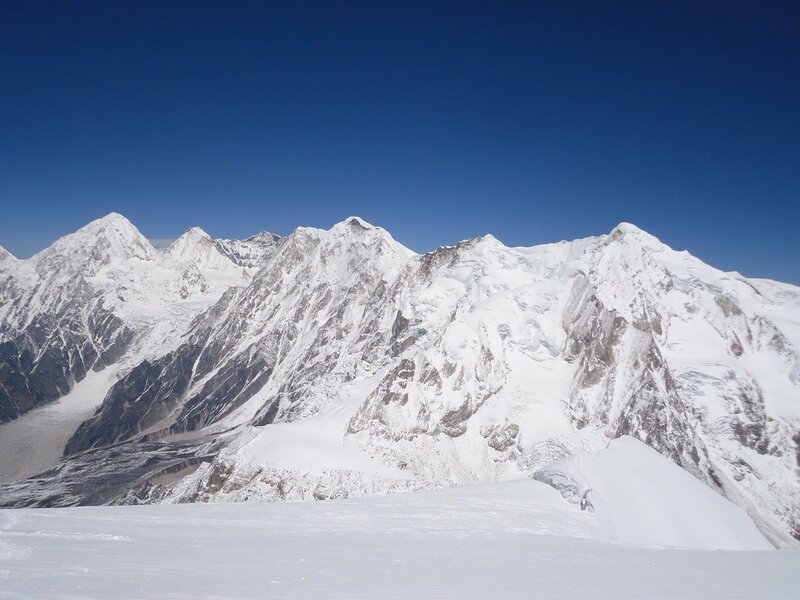 We will climb gently through the lateral moraines of the Larke Glaciers. The route is long and mostly passes through the rocky ridgeline up to the moraine. 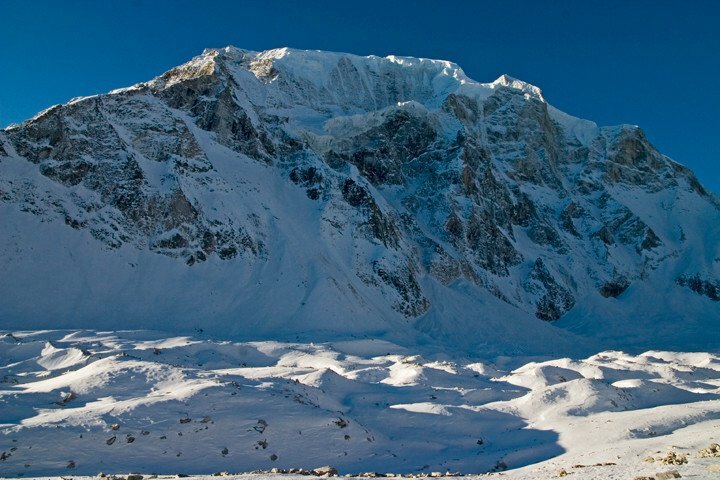 From here, we will descend to the four frozen lakes and then climbs up to the Larkya-La pass (5160m). 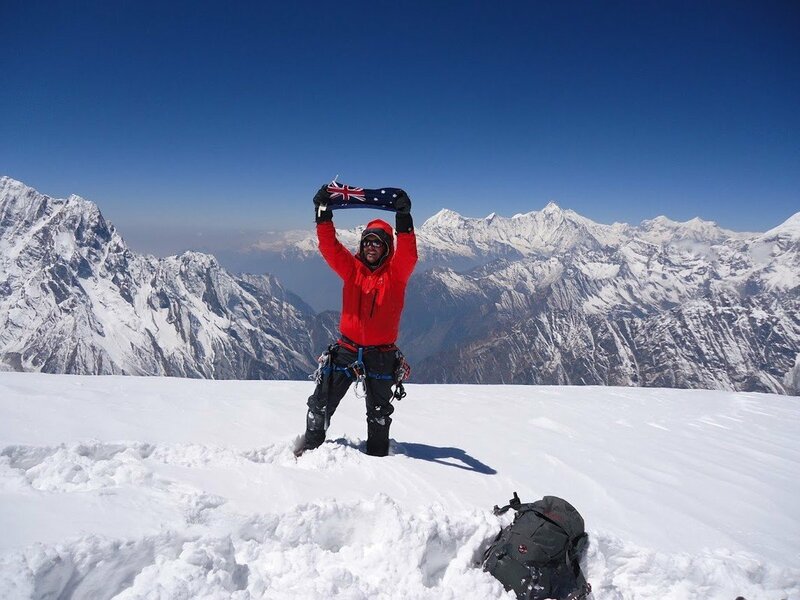 We can see the beautiful prayer flags hanging with the magnificent views of Himlung (7126m), Annapurna II (7937m) and other mountains in the Annapurna Range. Stay overnight at tented camp. 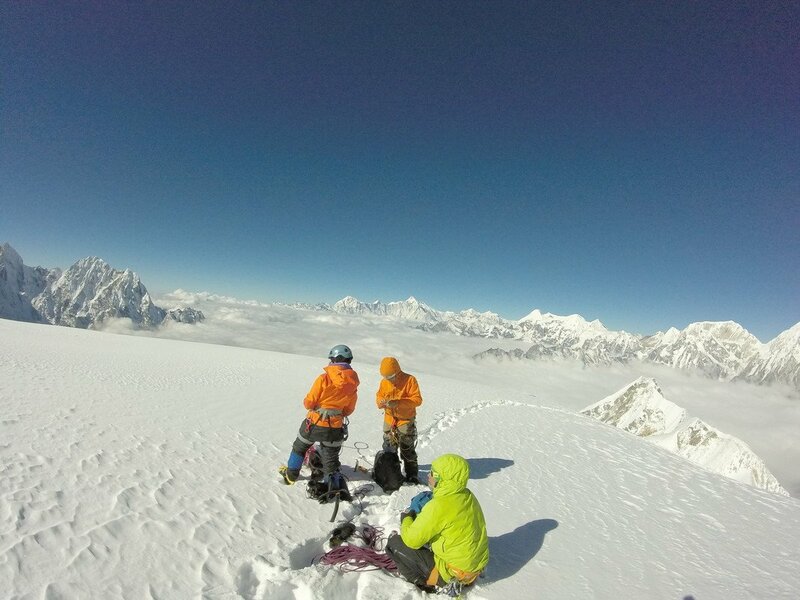 Our trek today begins as we continue on a gradual ascend to reach High Camp. On the climb today, we will walk on steep paths and narrow rocky channels which make the walk all the more difficult. 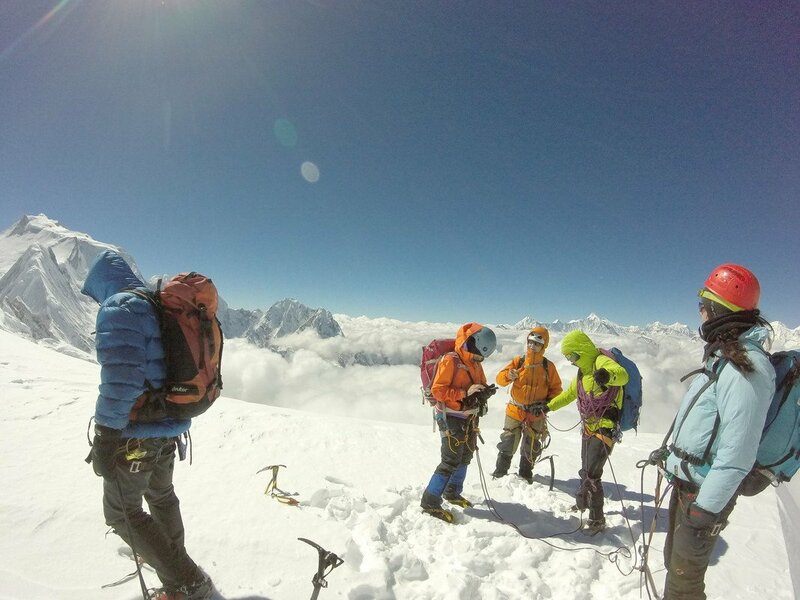 On reaching high Camp, we can explore the area to acclimatize ourselves to the climate. 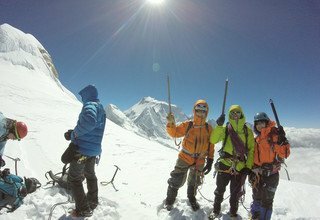 Also, we can practice for the climb on the following day. 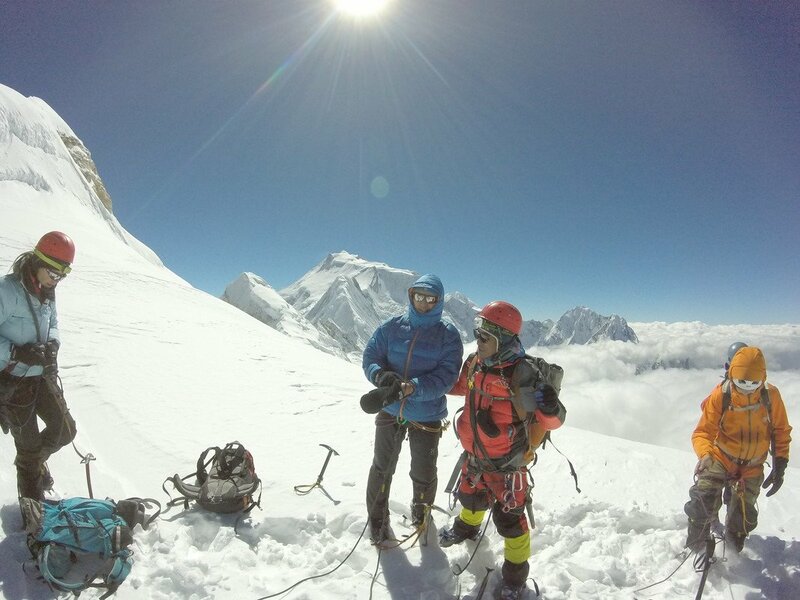 We will learn to use some of the climbing gears and equipment. Overnight in a tented camp. 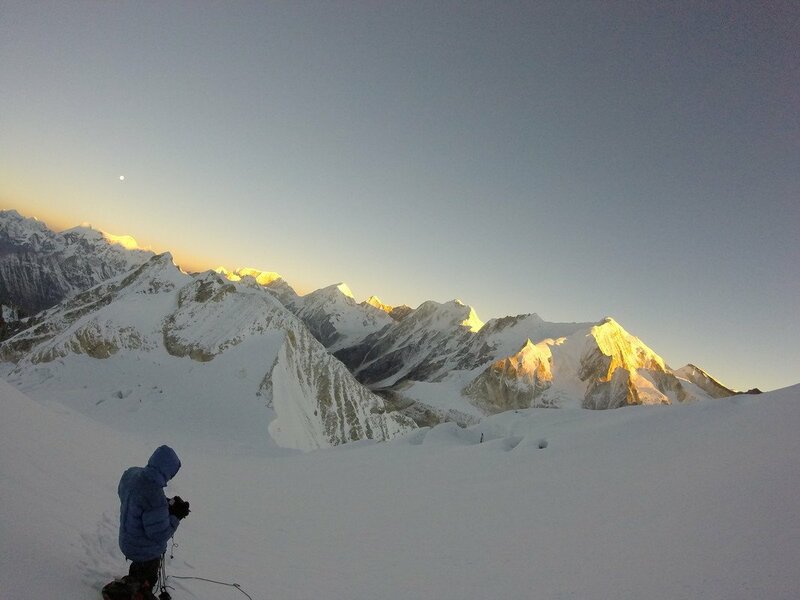 We begin the climb to the summit early in the morning. This way, we will not have to confront the strong mid-day winds around the mountains. 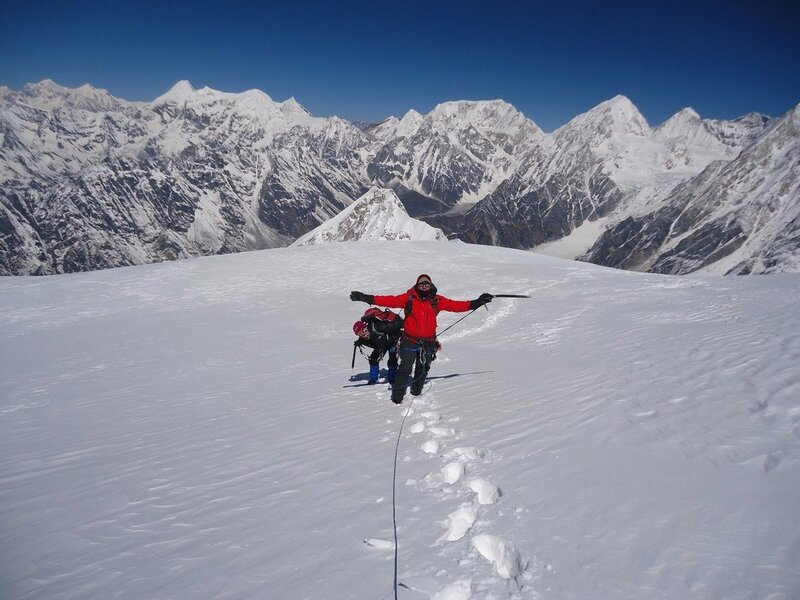 Upon reaching the top of the Larkya peak, we will be greeted by the now –familiar Himalayan air revealing a gorgeous range of peaks in the Manaslu and Annapurna ranges. 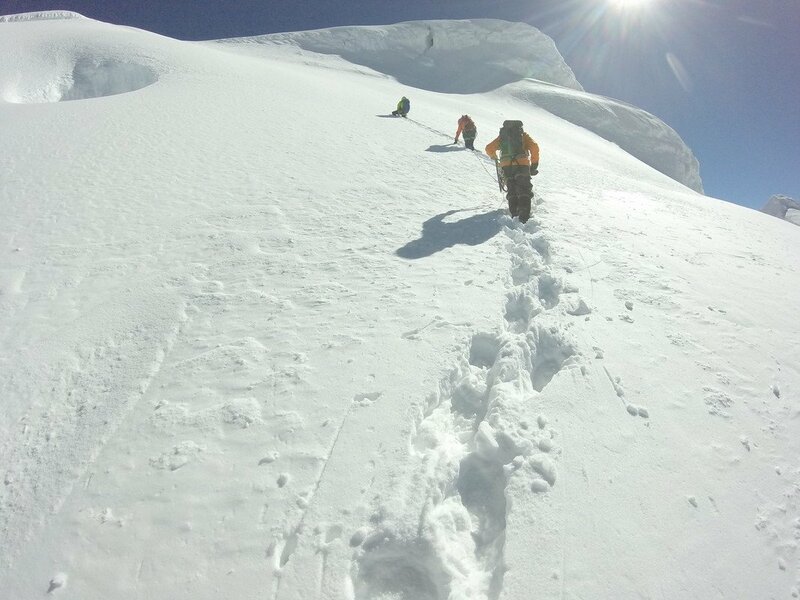 After enjoying the blissful moment for a while, we descend back to High Camp. Overnight in a tented camp. As mentioned earlier, the weather in these mountains are unpredictable and can worsen at any moment. 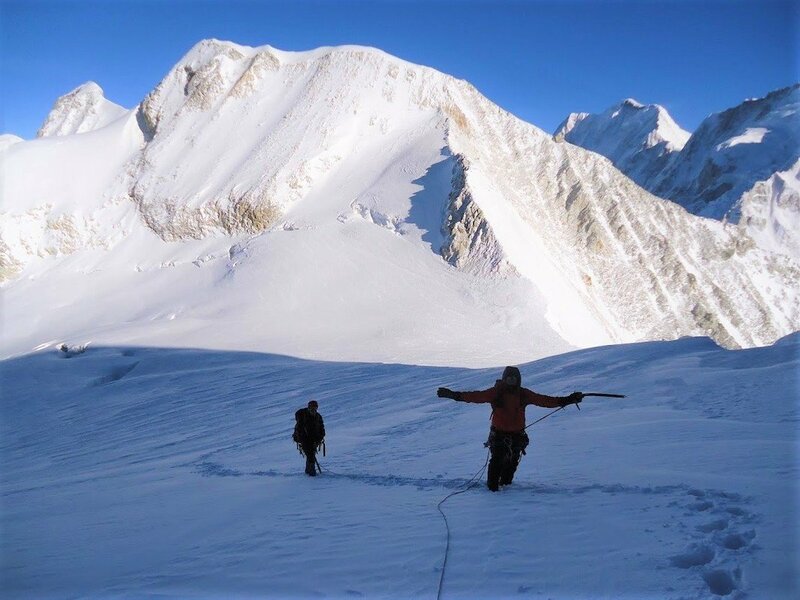 Today is especially sanctioned as a reserve day in case the climb is not possible on the scheduled day. 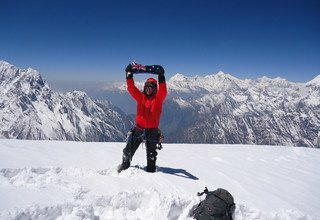 This day will not be required if we complete the climb on the 15th day. Stay overnight at tented camp. 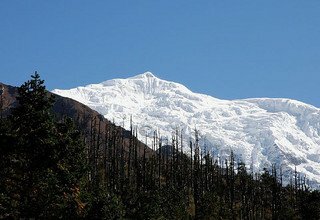 Today we will climb along the lateral moraine and continue along the descending trail along the loose rocks. At times, we may need to fix a rope to descend back to the grassy moraine. Enjoying the beautiful snow-capped mountains we will descend to the sandy village Bimthang. 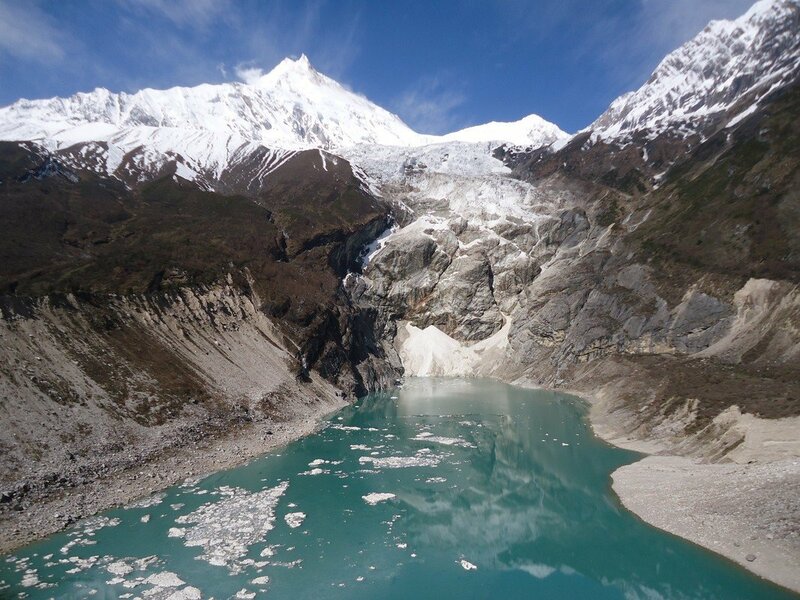 On reaching Bimthang, we will get a chance to view the medial glacial lake called Pongkar Tal which lies just between the Pongkar and Salpudanda glaciers. Overnight at a lodge. 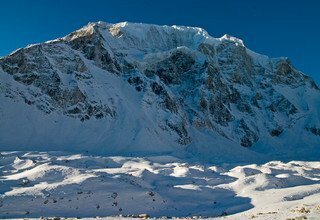 We climb up to the Bimthang glaciers and then quickly climb to the far moraine wall so that we can avoid the stone falls in this region. From here, we will enter the beautiful dense forests of rhododendron and pine. 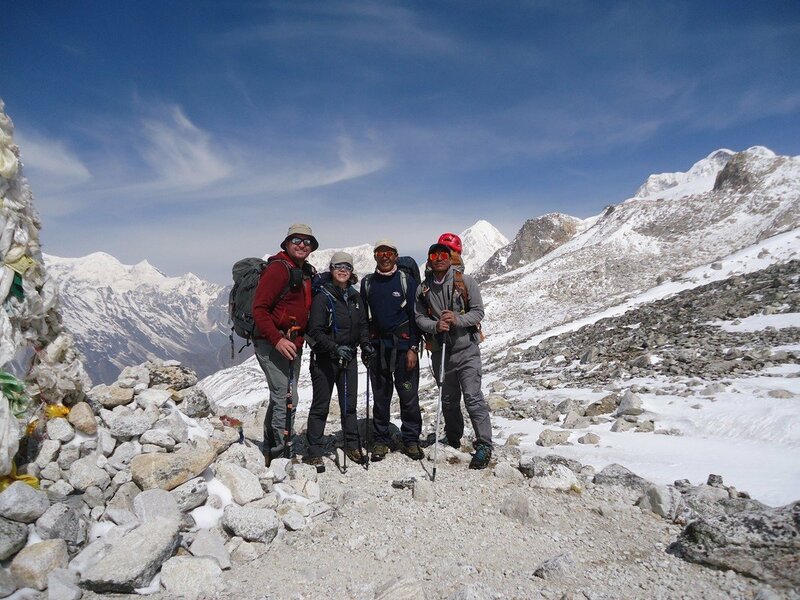 We will continue along the riverside and then to the forests crossing Karche and then the Gurung Gho. Crossing a large suspension bridge we will reach Dharapani. Overnight at a lodge at Dharapani. We will walk through the descending trail along the Marsayangdi River leading us to the iron bridge. 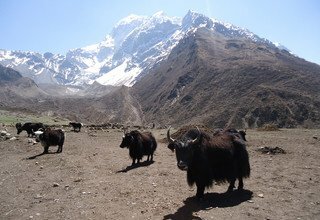 The trail ascends to Kotro and we continue ahead to cross few settlements and tea houses and descend down to the sandy area of Tal Village. We will continue on the trail to Chyamje. 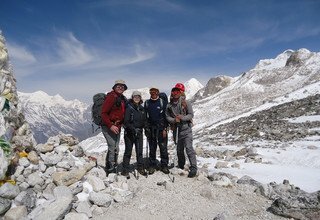 We then head to Jagat and take a path down to Syange. Overnight at a hotel at Syange. Enjoying the beautiful views of green valleys and tranquil villages we will drive back to Kathmandu crossing numerous settlements and verdant hills on our way. On reaching Kathmandu we will drive you back to the hotel. You can spend the rest of the day by shopping or exploring the local areas. Overnight at a 3-star hotel in Kathmandu. Our airport representative will transfer you to Tribhuvan International airport in our private van around 3 hours before your scheduled flight. * 3 nights deluxe accommodation with breakfast at 3*** hotel in Kathmandu. 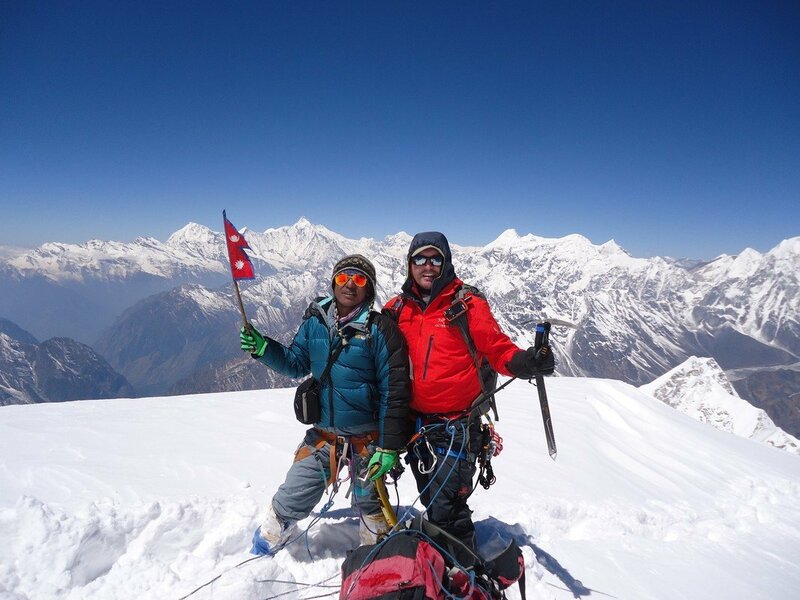 * Kathmandu city/sightseeing tour with guide as per the above itinerary and all entrance fees. 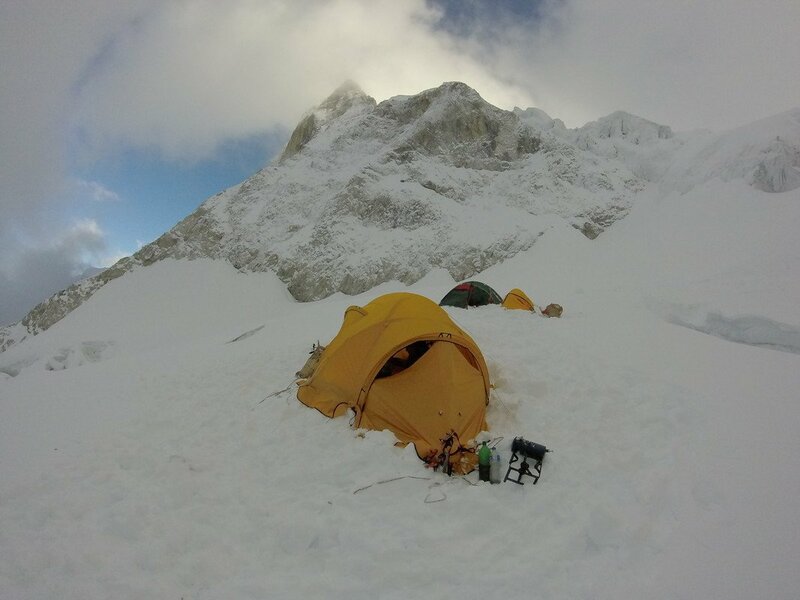 * Lodge to Lodge and Tented accommodations with 2 persons sharing basis during the trek and climbing. 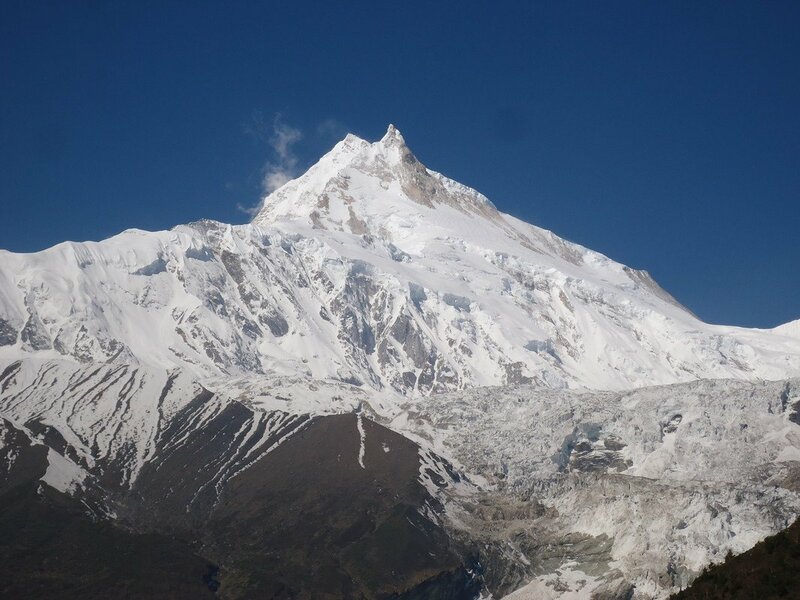 * Manaslu Conservation Permit and restricted area permit.